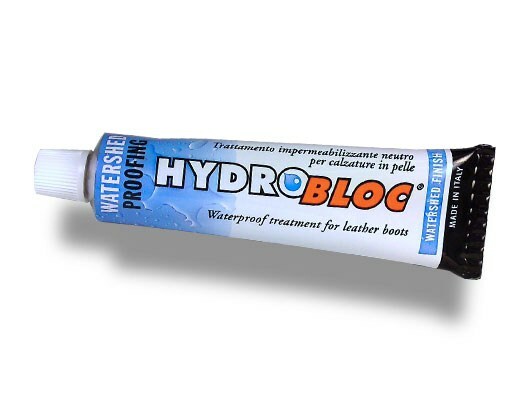 The Hydrobloc® Proofing Cream has been specifically formulated and developed for the full grain leathers (smooth and waxy finished), to protect them and enhance their water resistance and appearance. 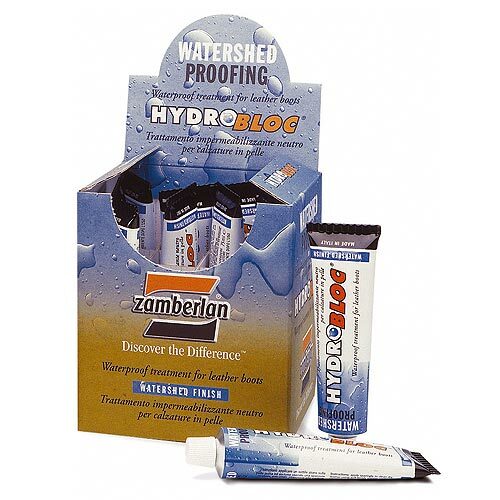 The constant use of Hydrobloc Proofing Cream guarantees a smooth and elastic leather. 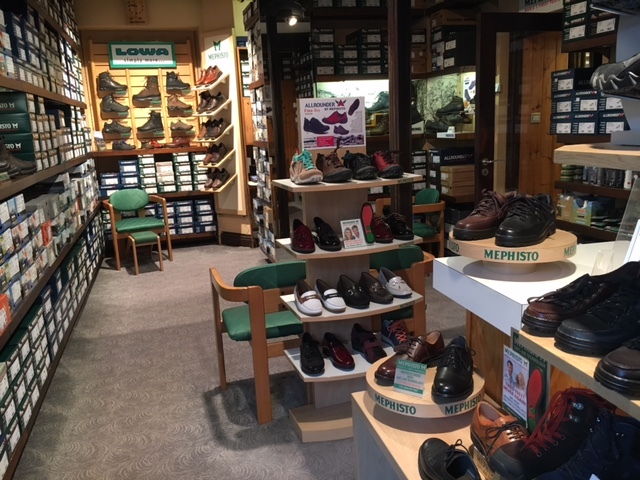 Also suitable for GORE-TEX® lined footwear, with Full Grain Leather upper. INSTRUCTIONS FOR USE: Apply sparingly to clean dry leather using a soft brush, paying particular attention to all seams and around hardware. May be buffed to a shine for improved results. NB: Hydrobloc will alter the appearance of nubuk or suede leather and may darken full grain leather. Test Hydrobloc on an inconspicuous area of the leather to be treated.